This black crushed velvet clutch is by Victoria's Secret. 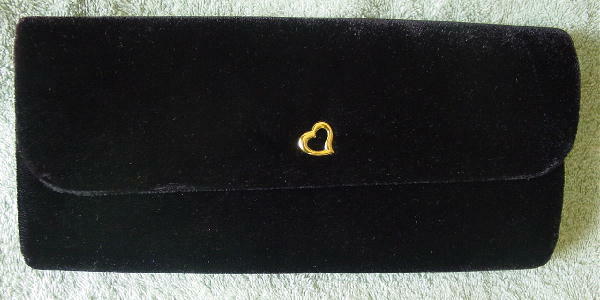 It has an envelope styling with a hidden snap closure on the underside of the little gold-tone metal heart. The inside flap lining is in dark gold (probably acetate) and the rest of the lining is in black. It was a present from her now-ex boyfriend. She only used it once.